Awwwww! That is just precious! Precious photos. Love it all!! How cute is this! I love your take on the sketch! oh my gosh - that is one CUTE Princess. what a sweet lo you've created. that is just so cute! love the tags and the pic of him sleeping-oh my how sweet is that! Oh my, those pics are too sweet! I love the differently embellished tags! Sweet photos and page! Look at that gorgeous little crown! Someone made that, didn't they?? Beautiful ! 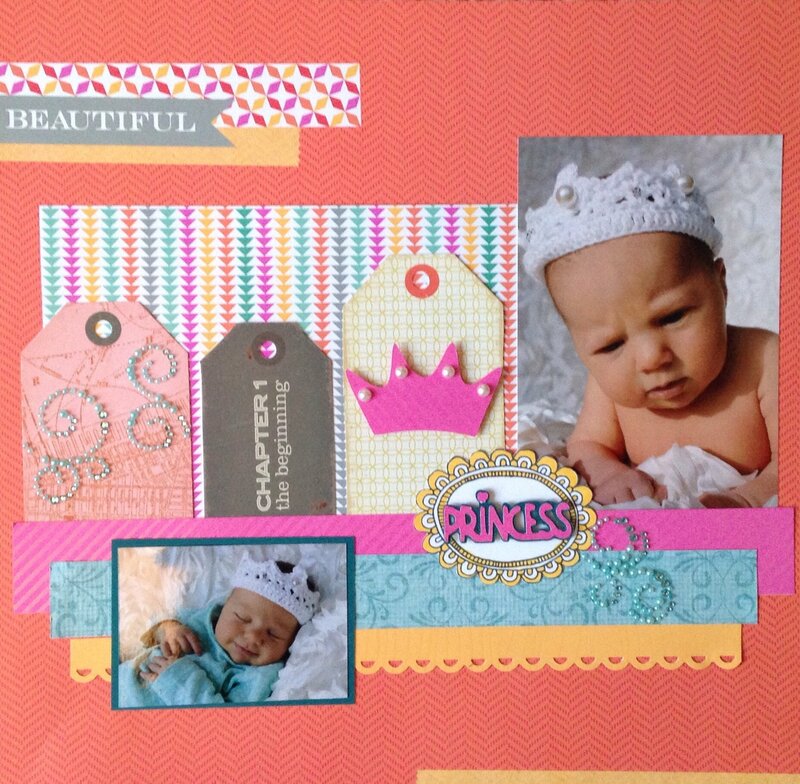 This is such a sweet layout! I love the tags and darling picture! So So cute!! I love the crocheted crown, the bright colors and the title...really I love it all lol. That smaller photo with the princess smiling is so precious....melts my heart! Love the lo! So sweet! Love the pearl flourishes! What a cute little crown!